1) The National Football League is making some design changes. Overall, the league is aiming for a more unified brand, so they have tweaked the AFC and NFC conference logos as well as some other wordmarks. The four stars in each logo represent the four divisions in each conference. Was anyone confused by the earlier logos? This might be the best, or is it worst, "Who Cares?!!?" news item yet. The most significant change is - believe it or not - actually (sort of) noteworthy. 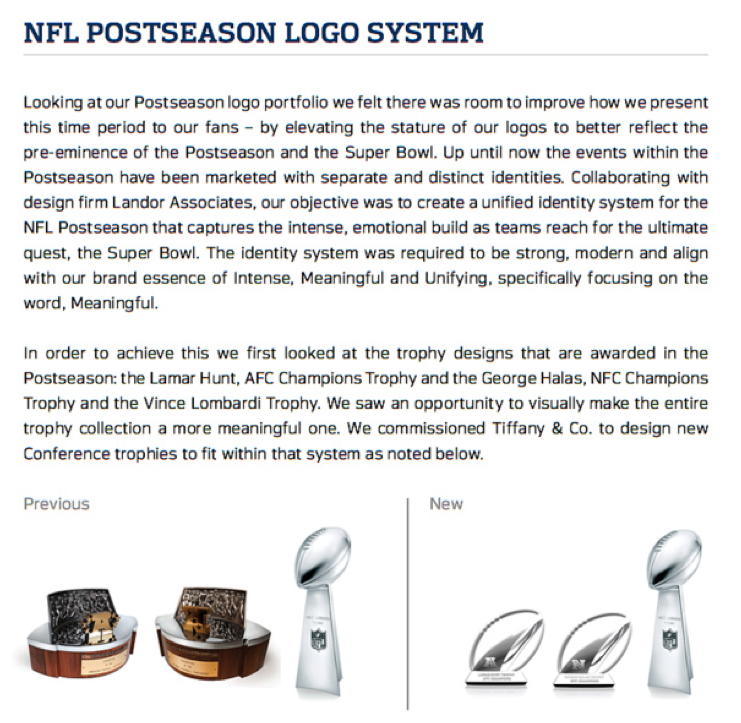 The AFC and NFC Conference Championship trophies, known as the Lamar Hunt and George Halas Trophies, respectively, are being redesigned to more closely resemble the Vince Lombardi Super Bowl Champions trophy. To be honest the idea seems logical, but in practice, I don't think it works. Trophies, in general, fall into one of three categories: classic, whatever (not bad, but not great), or lame/ridiculous. Please note the following list is not exhaustive, but a general classification. Headlining the classic, meaningful trophies are objects like the Stanley Cup, the America's Cup, the World Cup, the MacNaughton Cup, Paul Bunyan's Axe, the Apple Cup, the Claret Jug, any boxing championship belt, the Beanpot, the Heisman Trophy, the Borg-Warner Trophy, the Wimbledon Trophy, the Grey Cup, the Champions League Trophy, the Hobey Baker Award, any Gold Medal (even the halfway-melted ones that Vancouver passed out this year), and of course, the Lombardi Trophy. the Western Collegiate Hockey Association. The "whatever" crop includes the current AFC and NFC Championship Trophies, any NCAA championship trophy - including the crystal football, the Larry O'Brien trophy, any All-Star Game MVP trophy, MLB Commissioner's Trophy, the Lady Byng Trophy, the Ryder Cup, the Anschutz MLS Cup, and the Kentucky Derby trophy. Take them or leave them, at least they don't fall under the final category. In the end, the new NFL Conference championship trophies, for me, fall into the third category. While there may have not been anything particularly special about the old trophies (residents of the second category) - not that they should be particularly valued by NFL teams anyway - at least they were distinct. Not spectacular, but at least distinct. The NFL is now going for two Lombardi Trophy-lites: all of the Lombardi sterling silver, half the size (makes sense, considering it's half the accomplishment). 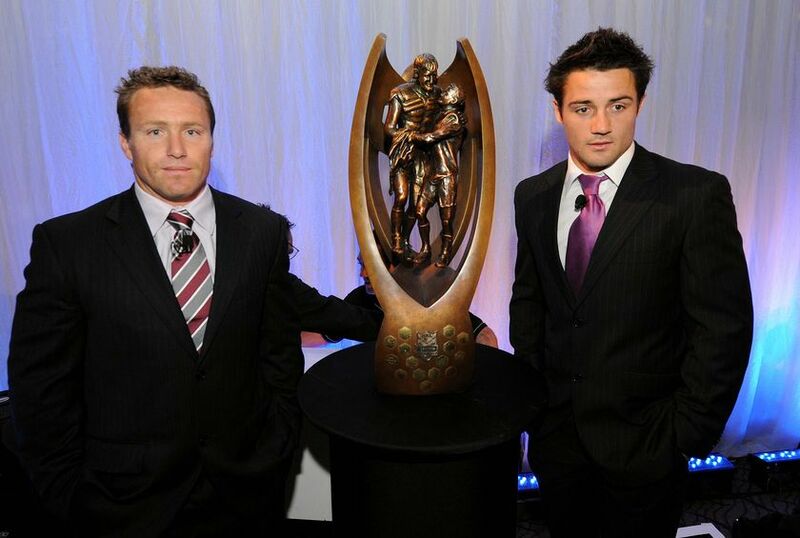 In sum, does the trophy produce the desired effect? Do the NFL's new designs, part of the "unified identity system," make these trophies more "Intense, Meaningful, and Unifying"? Um, no. 2) LeBron James filed paperwork this week to change his jersey number next year from 23 to 6, out of his respect for Michael Jordan. James wants to see Jordan's number 23 permanently retired by the NBA, so he's willing to switch to the number he currently wears when playing for the USA Olympic Team. He told the Cleveland Plain Dealer this week that, "I just think what Michael Jordan has done for the game has to be recognized some way soon. I feel like no NBA player should wear 23...Now, if I'm not going to wear number 23, then nobody else should be able to wear it." Nothing like grace followed by petulance. 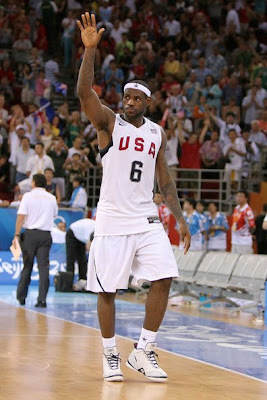 LeBron James will take six next season. Of course, this would require getting every other player in the league to agree with him, especially those who currently wear the number 23. About a dozen NBA players currently wear number 23, and of those, only the Suns' Jason Richardson is (kind of) noteworthy (sorry Martell Webster). Even if that were to happen, it is unlikely that the league will acquiesce to James' wishes. Frankly, buying jerseys of current athletes is becoming more and more treacherous - no matter the sport. With the constant trades, free agent moves, and jersey changes (see Brett Favre, Kobe Bryant, Jacoby Ellsbury, Chad Ochocinco, etc. ), there's no saying whether the jersey you buy today will be relevant tomorrow. 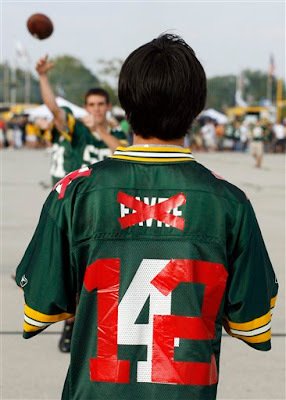 Nice, um, Aaron Rodgers jersey. 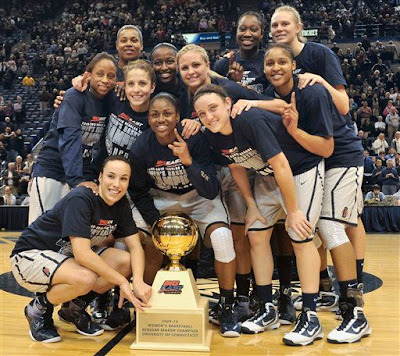 3) The University of Connecticut women's basketball team is on the precipice of history. With a victory in their quarterfinal game of the Big East tournament on Sunday, the team can match its NCAA-record of 70 straight wins, set from 2000-2003.
before Monday's game? How about: "Hey, what's up? You get to lose now." The team reached 30 wins for the fifth season in a row when they beat Notre Dame earlier this week. If the Huskies can continue their winning ways through the Big East and NCAA Tournaments, they would end the season with 78 consecutive wins. That accomplishment could establish this team as the most dominant college basketball team of all-time: a 33-point average margin of victory, with a 26-point average margin of victory against the 21 ranked opponents they've played during the streak, and zero wins by single-digits. Wow. 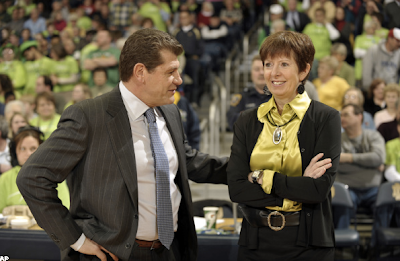 Their last loss came almost two years ago, in the 2008 NCAA Tournament National Semi-Finals. That loss to Stanford put the 2007-2008 team's record at 36-2. That's 2 total losses in the past three seasons. Crazy. after defeating Georgetown on February 27th. Who cares, though? It seems that the only time the media pays attention to women's college basketball is when someone throws a punch. 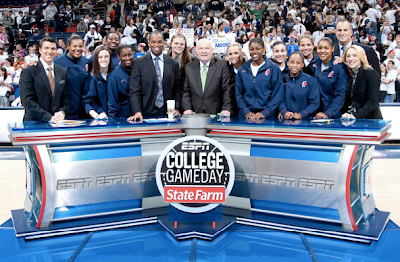 To be fair, ESPN's College Gameday paid a visit to Storrs in January, the first ever instance of ESPN's traveling roadshow centered on a women's college basketball game. ESPN didn't have to travel far to make it to Gampel Pavilion. The Storrs campus is just 45 miles from Bristol.